Just 45 km southeast of Mysore in Karnataka is located a hidden gem named Talakad. Situated on the banks of the Cauvery river, this nondescript small town is home to the granite temples belonging to the Western Ganga, Chola and Hoysala periods. No less than 30 temples are buried beneath sand dunes. Unlike a typical temple town brimming with devotees, Talakad is a sleepy place attracting picnickers. Once the capital of the Western Gangas, Talakad came under the rule of the Cholas, Hoysalas, Vijayanagar empire and the Wodeyars of Mysore. Of the 30 temples five have been excavated. These five temples built during the reigns of Western Ganga and Chola rulers form the Panchalingam, representing the five faces of Lord Shiva. While Pataleshvara and Maraleshvara temples were built by the Ganga rulers, Vaidyeshvara, Maruleshwara and Arkeshwara were commissioned by the Chola rulers. Vaidyeshvara is the largest and the most magnificent of the five. As you walk through the sand dunes, this will be the first temple which you will stumble upon. It is intricately carved with sculptures and pillars. These temples come to life when they are excavated once every 12 years during the Panchalinga Darshan held in the Hindu month of Kartik (October/November). 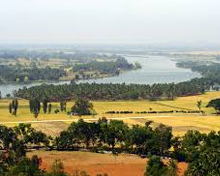 A dip in the sacred Cauvery river followed by the darshan of the Panchalinga is said to bring peace and prosperity. 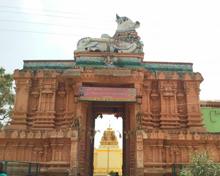 Dedicated to Lord Vishnny, the Kirtinarayana temple was commissioned in 1117 A.D. by the famous Hoysala ruler Vishnuvardhana to celebrate his victory over the Cholas in the great battle of Talakad. The temple enshrines 8 feet tall idol of Vishnu. The temple has been renovated by the Archeological Survey of India. Best time to visit Talakad is September to March. Darshan timings are 8.30am to 1.30pm and 4.30pm to 8pm. 45 km from Talakad is Mysore which has emerged as one of the most popular tourist destinations in India, and it's not hard to see why. With a stunning diversity of architecture, various museums, art galleries and places of interest, and extravagant dance and music festivals such as its Dussehra Festival, the place has a wealth of culture. Mysore has a wealth of historical attractions. Mysore Palace, Jaganmohan Palace, Saint Philomena's Church, Rail Museum and Chamundeswari Temple are famous attractions in Mysore. Mysore is also the reference point for the temples known as the "Jewel Boxes" of Hoysala architecture as well as the top Jain pilgrimage site of Sravanabelgola. 118km from Talakad, Hassan is rich in history and brimful of culture and heritage. This relaxed and laid-back fourth largest city in the state derives its name from Goddess "Hasanamba" and is a refreshing change from the far more touristy sites in the state. Once the bastion of the Hoysala rulers, who were great temple builders, the district of Hassan, not surprisingly, boasts wonderful architecture, temples and a wide array of attractions. 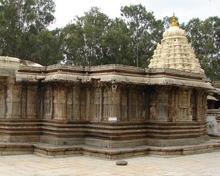 Hasanamba Temple, Bucesvara Temple and Nageshvara-Chennakeshava are important shrines in and around Hassan city. What makes Hassan a compelling destination is its being the most convenient base for visiting the world-renowned heritage sites of Belur, Halebid and Sravanabelagola which are located in the district. 140km from Talakad, Bangalore Bangalore is one of the most delightful cities in India. Aptly termed as "India's city of the future" by Jawaharlal Nehru, India's first Prime Minister, Bangalore has also earned the sobriquet of the "Garden City of India" thanks to several gardens and boulevards found in the city. India’s great southern city of Bangalore is rightly called the Silicon Valley of India. The city contains some beautiful parks, ruched velvet night-spots, delectable shops and arguably the best nightlife in India, all the ingredients for a wonderful holiday in Bangalore. With its nice climate, the cosmopolitan Bangalore is a tourist’s destination for all seasons. 159 Km from Talakad is Ooty, the famous hill station in the state of Tamil Nadu. Ooty is rightly known as the Queen of Hills. Situated at an altitude of 2,240 m, it is an ideal place to spend your holiday away from the sweltering coastal plains. Ooty has righlty earned the sobriquet of the ‘Queen of Hills’ for its scenic beauty due to the idyllic setting of the town on the Nilgiri Hills. Founded in 1819 by John Sullivan, the then Governor of Coimbatore, this hill town in South India is home to some fine specimens of colonial architecture. 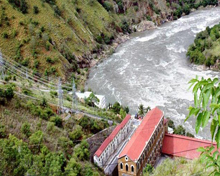 Ooty is filled with attractions such as Pyakra Lake , Needle Rock, Ooty Botanical Gardens, Doddabetta Peak, Ooty Lake, Government Rose Garden, Wenlock Downs, Glenmorgan and Kalhatty Falls. By Air: The nearest international airport to Talakad is Bangalore. All international and domestic airlines operate flights from Bangalore to all major cities of India and vice versa. By Rail: The nearest railhead for Talakad is the Mysore railway station. You can take Shatabdi Express that connects Mysore with Chennai. A good many train services operate between Bangalore and Mysore. By Road: Talakad is well connected by road to different parts of India. Karnataka Road Transport Corporation and transport corporations of the neighboring states operate bus services. You can have private bus services by private tour operators. Travelling on the Bangalore-Mysore highway is a good way to reach Mysore. Major cities and towns near Mysore connected with it by road are Hassan (118km), Bangalore (140km), Ooty (Ootacamund) (159 Km) and Mangalore (259 km). It would be a good idea to seek your accommodation at Mysore where one can find a wide array of hotels, ranging from luxury hotels, to budget hotels. If the visitor is interested in the budget hotels Hotel Dasaprakash is a good choice. You may visit Hotel Siddhartha. For heritage hotels the Green Hotel the 120-year-old Royal Orchid Metropole are worth considering.